I love garlic, and adding fresh garlic to my cooking is something I really enjoy. 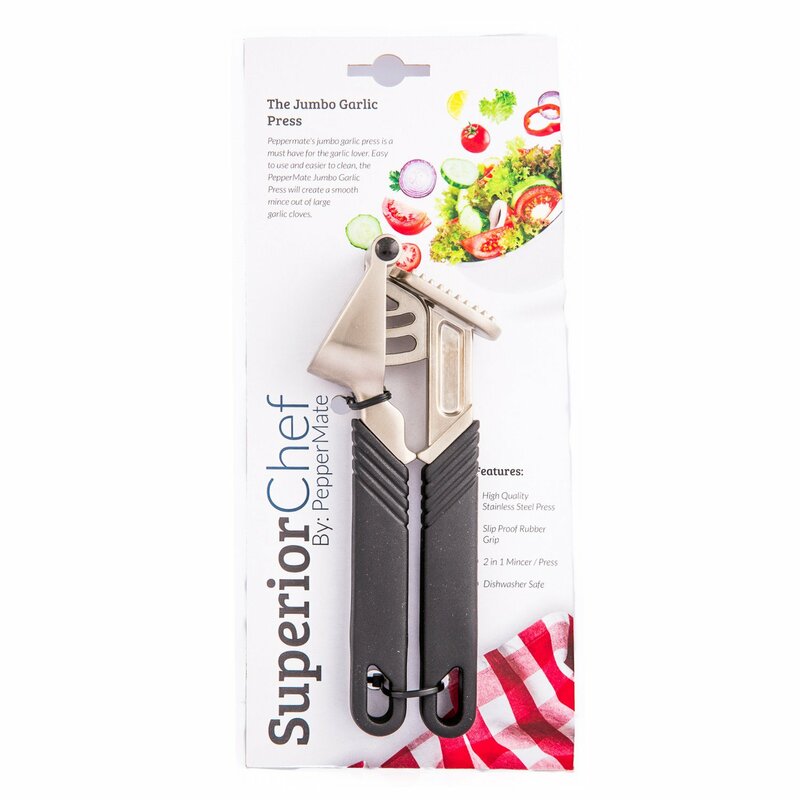 I recently ordered this Superior Chef Stainless Steel Large Jumbo Garlic Press / Mincer by PepperMate Durable Kitchen Garlic and Ginger Press by PepperMate and am glad I did because it works very well for mincing fresh garlic for my favorite dishes. This garlic press is sturdy metal, and it fits nicely in my hand. It is easy to use and minces my garlic perfectly. It works well for even the larger garlic cloves, and is easy to clean either by hand or in the dishwasher. I will be using this a lot, and really love it.